This is a fun driving event that starts early on Thursday , September 27th in Santa Clarita. Invitees will follow the route books depicting the path from the start to Lunch and Laps at Buttonwillow Raceway. After lunch more back roads leading to Weathertech Raceway at Laguna Seca. Pelican Parts will be hosting a welcome reception for all the Road to Rennsport invitees. Again this is for Porsches only , deadline to request entry is SOON ! 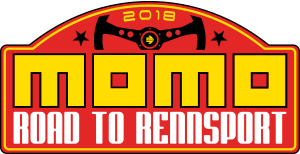 NOTE: This is NOT part of the Rennsport Reunion, but a separate auxiliary event and will require you to have a Rennsport Reunion admission to enter the track area Thursday. Road to Rennsport entrants will receive a special parking area pass good for the weekend.